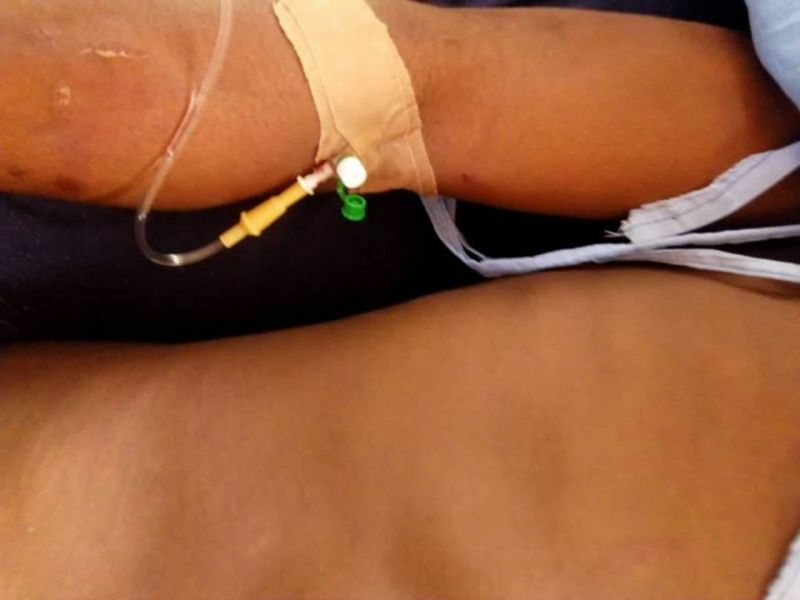 The electioneering campaign team of a serving Senator on Christmas day descended heavily on a young man by name Taiwo at Akure, capital of Ondo State, South-West Nigeria. An eye witness who recorded the incident on video with her smart phone and forwarded same to News Express has it that the lawmaker representing Akure North in the Upper Chambers of the National Assembly, Senator Tayo Alasoadura’s campaign team had driven through Ijapo Residential Estate where Taiwo resides with her mother and siblings. According to the eye witness account, the Senator’s campaign team came to the estate in two campaign cars with posters, to give out some items and cash to woo voters ahead of the 2019 elections. Taiwo, who was passing by at the time, rejected the campaign gifts from the All People’s Congress (APC) Senator’s team, saying he had nothing to do with APC. 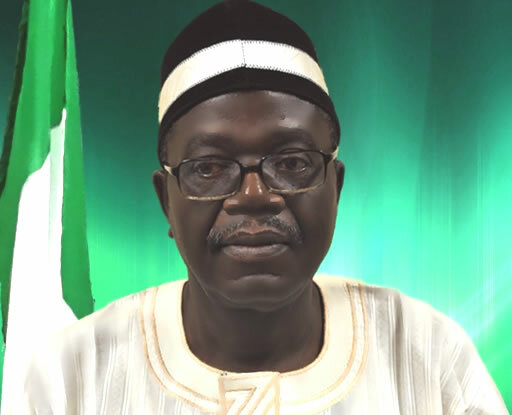 The campaigners saw Taiwo’s rejection as a slide on their principal, a one-time Commissioner for Finance in the state who is now campaigning for a second term in the Senate. Within a twinkle of an eye, the head of the Senator’s campaign team ordered his colleagues to descend heavily on Taiwo. 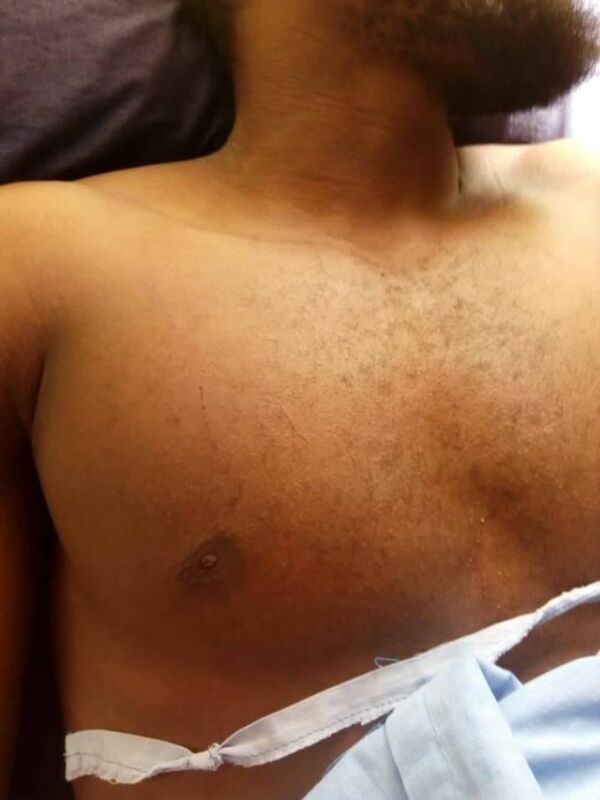 “The young man was beaten mercilessly by the Senator’s men. They pounced on him with heavy blows and kicked him severally until he became unconscious,” narrated our source. 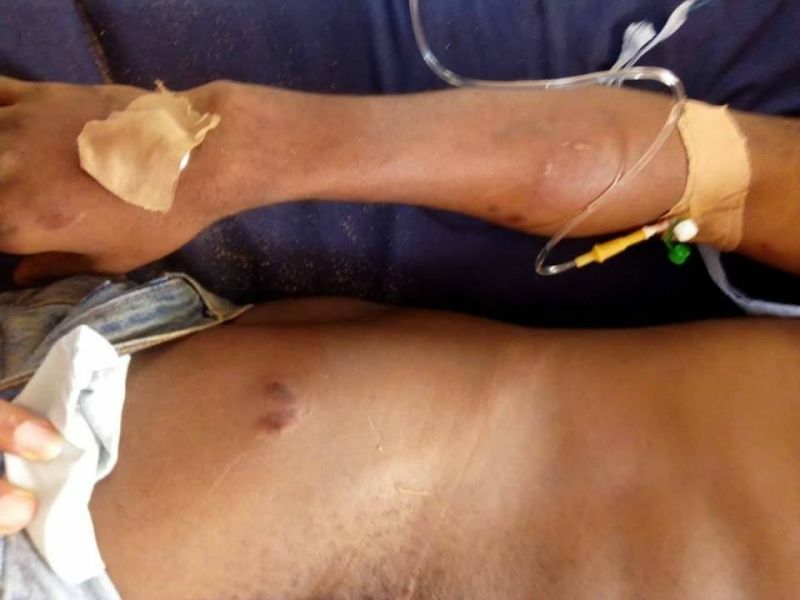 “When Taiwo fell flat on the ground, his attackers bundled him into the boot of one of the Senator’s campaign vehicles. They drove him while in the boot all the way from part of the estate called Groovy to another part called Slimcity. “It was the shouts and cries by some residents of the estate who ran after the Senator’s campaign team which prompted them to stop and drop Taiwo in his unconscious state and sped off,” said our source. 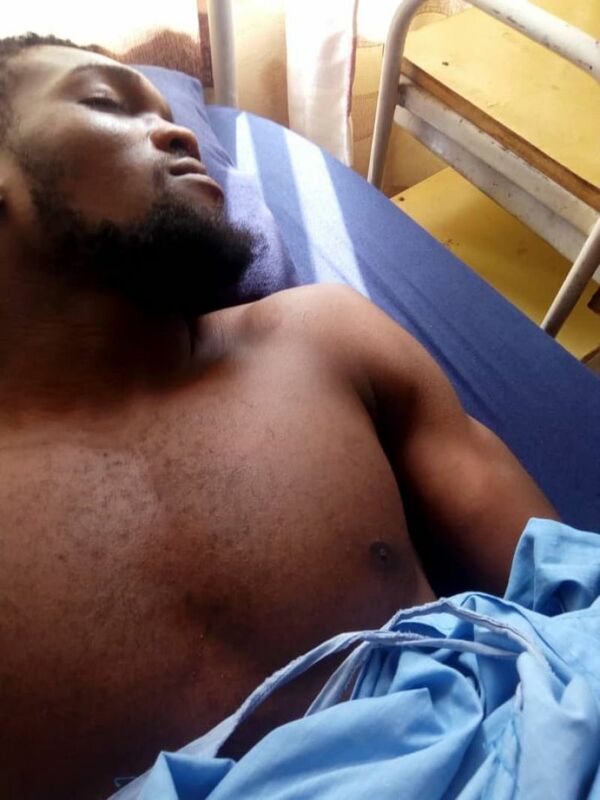 Taiwo was rushed by sympathisers to a private hospital in Akure town where he is currently receiving treatment. In the video, one could hear a resident shouting in Yoruba that Taiwo is asthmatic. “The man (Senator Alasoadura) is like that. He does his things with force and pomposity. He once spearheaded the campaign to forcefully unseat the Olu of his kingdom,” added another eye witness. All efforts to reach the federal lawmaker were not successful as at time of going to press.